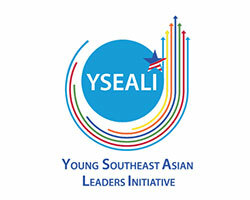 From 2015 to 2017, the Center for Southeast Asian Studies (CSEAS) and the Center for Black Studies hosted a YSEALI Academic Fellowship Institute from Southeast Asia on Civic Engagement, Leading and Organizing for Change in Southeast Asia. This five-week U.S. State Department-funded institute engaged three batches of 21 YSEALI Fellows from ASEAN member states, focusing on civic engagement from historical and contemporary perspectives. The Fellows learned about important social movements in the U.S., including civil, labor, women’s and disability rights movements. They also learned about the events, methods and ideas that shaped these movements, as well as developed the skills to organize at a community level and to advocate and act for societal transformation. As part of the program, Fellows created specific action plans to implement upon their return to their home countries. The program aiso was an opportunity for NIU students to have a lasting impact on Southeast Asia through sharing their experiences and skills in civic engagement. As in the U.S., ASEAN nations continue to struggle with minority rights, labor rights and safety and rights of persons with disabilities. The NIU part of this federal program ended in 2017, but Fellows remain in touch and as part of our larger CSEAS community.